THE internet has certainly made it all rather wondrous the way we can now search out and book someone to meet us with a car at our plane, and take us straight to our hotel, cruise ship or wherever in overseas places we've never visited before. And all without need for fighting with luggage to get aboard unfamiliar airport trains or buses, or to deal with questionable cowboy cabbies. Yet it can also at times be something of a minefield of communications misunderstandings, language mix-ups and worse still, plain outright being taken for a ride – but not the short ride we thought we had booked. How nice then, to hop off our plane in Athens just recently and to be met by two smartly-dressed blokes with a cheery "G'day, welcome to Athens," a couple of luxury E-class Mercedes kerbside to whiz the half-dozen of us to our hotel and for a city tour that afternoon, and to transfer us next day to our cruise ship. For to our surprise, here in fact were two True Blue Dinkum Aussies: Dimitri Karoutas who was born and raised at Mosman in Sydney, and Aki Arvanitis who originally hailed from Kew in Melbourne. Both are the sons of Greek migrants to this country, and if there're a couple of "local lads done well," here you have them. Dimitri's dad opened Johnnies Fruit Shop at Mosman in Sydney in 1965 (it's still there today although under new owners,) and Aki's dad had a Retravision furniture and electrical store in Prahran in Melbourne from the early 1970s well into the 1980s. Over the years Dimitri developed a successful transport business delivering supplies to Sydney restaurants and hotels, and Aki a chauffeur-drive operation ferrying amongst others, local MPs and Melbourne TV station personalities. And when they met through a mutual friend, they got to talking about something very odd that each had discovered from regular visits they'd taken to Athens over the years: for although it had 3.75m people in its city and surrounding urban areas, Athens had just 31 licenced hire cars. Surely, thought Dimitri and Aki, there must be demand for more than this from those wanting, and able to afford, an upmarket and personalised private transport service? And while their research proved them right, they weren't able to crack an extra Athens hire car licence when they moved to the city back at the turn of the century. 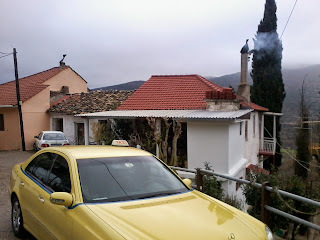 So they opted for a regular taxi plate – putting it on a classy brand-new Mercedes rather than the more-usual budget-priced cars that make up the vast part of Athens' 14,000 yellow-painted cab fleet. As well they began business offering pre-booked airport and cruise terminal pick-ups and drop-offs, and personalised day sightseeing and longer tours into popular regional centres. "The market came naturally," Dimitri told us. 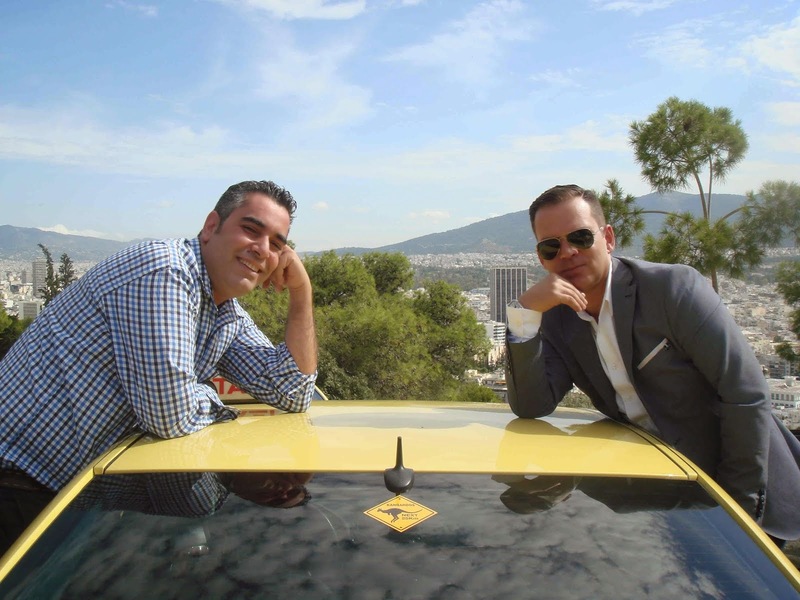 "Our product stood out and went almost viral amongst wealthy Greeks who wanted to be driven around in clean, quality cars and by drivers with good manners – not in dirty cabs smelling of smoke." And soon they were swamped with bookings from politicians, film and TV stars, giants of local commerce and industry… and for good measure from overseas as well (while they won't name names, regular clients have included Australian movie stars and one of Australia's "famous voices" ..... do your own reckoning. 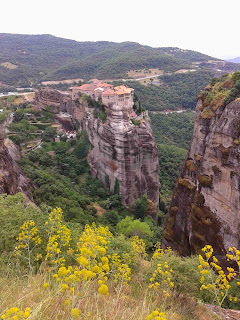 Today their Deep Blue Tours has four E-Class Mercedes, two mini-vans and a broad network of contract drivers as well – all with Mercedes to maintain the quality of service these two Aussie-Greeks have set.